Bilis take gold at the English Olympics – Welcome to Bilingual Junior High School! 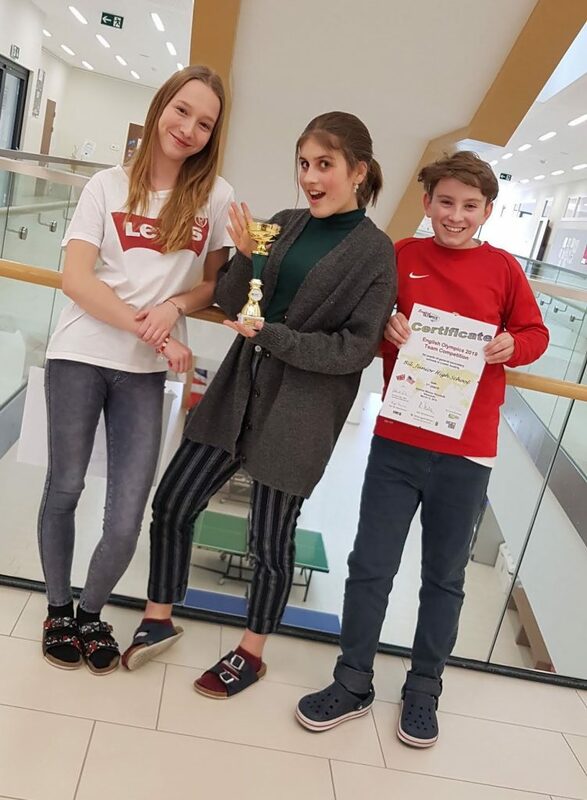 On Wednesday 13th April, four fourth-year pupils took part in the annual English Olympics, held this year at the NMS in Wiesmath. Caro (4f), Beni (4d), Franziska and Simon (4e) did a fantastic job and took first place in the region by quite a large margin. An excellent result – well done!